Everywhere we see that everything is becoming so expensive. It is difficult to save money nowadays. You have to look on all of your expenses to save money. Groceries are one of them. Grocery shopping is done so hurriedly that you don’t pay much attention to the prices and where you can save money. For example if I ask my husband to buy grocery , he always overspend. Never look at prices, never pay attention to grocery list. He just grabs whatever he feels like he should take. So I now ask him only to buy milk and baby nappies. He is good at that. Most of the grocery shopping I do myself. And we all have that special affinity to some items that we always buy more than required. And end up throwing it along with the money spent on it. It is not always possible to cut your expenses but try wherever you can. 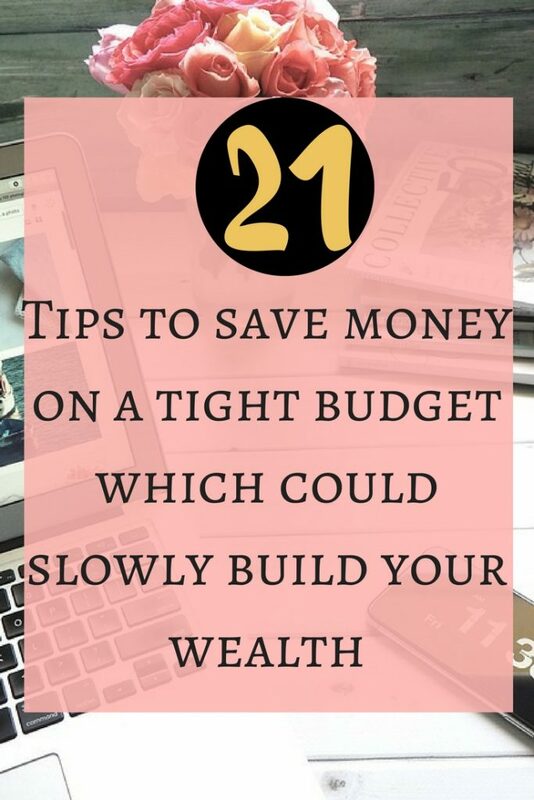 There are some steps you can take to save money on tight budget. Buy only needed items : Buy only those items which you need for a living. You can expand your spending portfolio once you are comfortable with your earnings. Even then it is better to save each and every penny you earn. Smaller portions of perishable food : If your family is small, don’t buy perishable items in bulk. Otherwise you end up throwing everything in bin. It happens like this if my husband buy vegetables. And I cook daily. I mean I cannot refrigerate my cooked food. We finish the cooked food in 24 hours. Shop online for non-perishables: Sometimes you get very good deals online for shopping rice, coconut oil, pulses , cereals and many more. You can buy them in bulk as per grams price is always less for the items bought in bulk. Look for cheaper insurance : We hear everywhere that it is always good to look for insurance and go for cheaper one. But most of the time we goon having the same insurance plan. It is easy to switch your insurance plans so go for the cheaper ones. Cut your commute to market: One way to do is stick to once a week to market. And when you go try to do as many tasks as you can. It will save you time as well as money. Look for clearance sales online/store: Sometimes it take a long time to look for clothes that fits your size. But it is worth the time. Go for this type of shopping when you want to go out just to freshen up. This way you will not waste your time. And it will rejuvenate you. Also when you find a good dress that fits you and half the original price, it increases the magnitude of your happiness. Use everything wisely : Sometimes I take this too seriously and Even don’t waste the kitchen towel or tissue paper. I know it is too much but I really think of not wasting it. Save all the coins : I started saving coins in June 2015, and at the end of 2016, I had 350 dollars. Now I am saving since the start of 2017 and yet have to see how much I have saved. Go to library for books and magazines : Instead of buying magazines and books use library. It saves you lot of money. Though we don’t mind spending a dollar here and there. I adds up to a lot. Save before buying anything : It really saves you lot of money in the long run. And also you willl not buy anything which is not under means. Turn off your switches when not in use: This is the simplest thing we can do to decrease the energy load and we always forget to do so. Go or walk or jog instead of gym : Why to pay for gym memberships when you can exercise for free. Go out for a walk, say hello to big trees. They always stand there waiting for someone to say hello. you. Go out listen to chirping of birds. Health and happiness will come together. Embrace them with open arms. Walk or take public transport : This will save you a lot of money on the long run. Calculate how much you will spend on your gas. And calculate how much you will save if you walk or take public transport. Always buy used furniture : Instead of buying everything new and on impulse, buy used furniture. One of my friend bought a very beautiful set of a very big cupboard and matching dining table from somebody who sold all his furniture to buy new one. Cook everything at home : Cooking everything starting from scratch is a good idea if you are on a tight budget. Home cooked food is tasty and nutritious. And can use your leftovers and make something interesting next day. Try to use generic brands : Home brands or generic brands are way cheaper than established brands. You will save lot of money. Plan your meal around what you have in fridge : If you feel like you don’t have anything to cook, have a look in your fridge.Sometimes it is better to plan a meal around what you have. This will help you in using the unused items in fridge and also will save you money. Compare the prices of grocery items then go for shopping : Internet is a huge help if used properly. So while using internet, it is best to compare the prices of different products and shop for the cheaper ones. Learn some skills for maintenance : Learn some skills so that you can do some of your maintenance yourself. You can learn sewing, painting and many more. Use coupons wherever you can : Coupons are a great way to reduce your grocery bills. Have look for coupons before going shopping. There are lot more ways to save money but it is best to start with what seems bit easy.